With the assistance of the internet, many used car buyers go out of town or even out of state to purchase a used or pre-owned vehicle. This can be a good way to find a far better vehicle than may be found locally, or, in many cases, a better overall deal in terms of vehicle, miles, and price. The buyers may have the vehicles driven or even shipped to them, or they may travel to pick them up. This occurs far more commonly than many car buyers may realize. Can Car Pal help me buy a used vehicle from out of town or out of state? 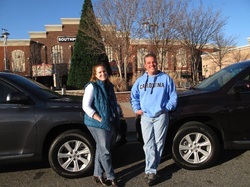 Our car buying service ventures outside our clients’ immediate areas at least 50% of the time. If they live in New York or New Jersey, it is more like 90% of the time. One of many reasons for that is a vehicle in New York or New Jersey may have been used on less than ideal road surfaces (including, but not limited to, corrosive salt), or in frequent stop-and-go traffic, which shortens the life span of many parts prone to wear, such as rotors and brake pads, to name just a few. How can I be sure I’m buying a used vehicle of good quality, especially when it’s coming from elsewhere? What follows is a list of all the things a car buyer’s agent will check and double-check to complete a thorough assessment of a vehicle’s worthiness. You can use this list to craft a personalized checklist for your next used-car purchase. Even if the vehicle will be purchased close to home, using this list and checking it twice will ensure efficiency and lowered stress at the time of purchase. How has this process worked for a real Car Pal customer? Here’s a real-life example of when and why someone might opt to buy a vehicle out of town. (The name has been changed for privacy.) 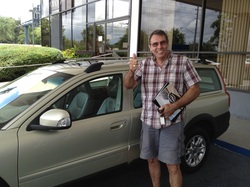 John Smith wanted a car buyer’s agent to help him find a used Toyota Land Cruiser for under $50,000 USD. His main requirements were color (white), condition of vehicle (impeccable), and lowest miles for the lowest possible price. 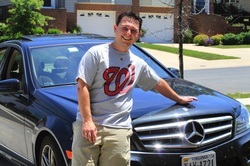 Well, Car Pal’s car buying service scoured every last corner of a 300-mile radius from his home near Washington, DC. Nothing. Then we went south, past North Carolina to South Carolina. Voilà, there was the perfect Land Cruiser (or so we thought). Preferred color, certified, low miles, and low price. After Car Pal negotiated an even better price, Mr. Smith still was not satisfied with the price for what he would be buying. He felt we could do better. Well, better we did indeed, and now we jump to the end of the story: We found the vehicle he ultimately purchased at a BMW dealership in El Paso, Texas. Even with the cost of shipping included, that purchase saved Mr. Smith thousands of dollars. What questions should I ask before I agree to purchase a used vehicle from out of town or state? Here, then, is a list of things you would need to know and/or have the dealer check prior to your purchase. It includes questions that will save time at delivery (if you have it delivered), prior to shipper pick up (if you have it shipped), or pick up (if you go to fetch it yourself). By going through this process thoroughly, you may even discover something about the car that will change your mind, and you will opt out of the purchase. Barring that, the items below must be discussed and researched prior to purchase—if for no other reason than that you have very little leverage, if any, once you’ve made your purchase. Does it come with an extra key? If not, will they cut one for you? Keys, because of the wireless signals and computer chips installed in most, can be very expensive! You definitely do not want to leave that one to chance. What is the extent of any visible body damage, in terms of dings or dents or normal wear and tear that doesn’t show up in the photos? Maybe some minor wear is OK with you, but other things that may not have shown up in the dealer’s photos may be unacceptable to you, or in need of repair. What service records are available for the vehicle? Ask to see the internal records of work done as well as work suggested that may or may not have been completed. It is both enlightening and informative to learn what they have done as well as what they have not done from a technician’s list of recommendations. What is the original in-service date (date of original purchase) for the vehicle? This is relevant because if there is time or mileage remaining on the factory warranty, it will be calculated in years and miles from the in-service date. Consider a certified pre-owned vehicle, but certainly don’t rule out a car if it is not certified. A Toyota traded in at a Honda store can’t receive Toyota certification because of where it was traded; however, it may be a perfectly fine used vehicle for its next owner. If it is not certified pre-owned, find out why. Again, not necessarily to rule it out, but to investigate what part of its prior life may have led the dealership to opt against certifying it. Who was the last owner of the vehicle? For privacy reasons, you will not be able to get a name, but in many cases you can learn the personality and/or size of the person described to you. If the vehicle was purchased at an auction, you won’t be able to know, but you can ask probing questions to determine if the owner was a smoker, if the owner was careless or meticulous (we opt for meticulous, of course! ), or if the owner was obese; this matters only to the extent that the springs beneath the driver’s seat will wear down under unreasonable weight and can impact your driving experience because of decreased seat comfort (from cushioning being compacted under the weight, and/or the springs beneath the seat losing their elasticity and shock absorption). We will end the list with a clever tip you can use to your benefit, and to separate the wheat from the chaff: Ask the assigned salesperson to please go out to the car and pretend to describe the vehicle over the phone to a super picky relative (often good to have the salesperson identify a specific person and pretend to be calling that person). The precise condition of the vehicle should be described, and if there are any flaws, close-up photos should be taken so there are no surprises when you make your purchase and/or go for a test drive. 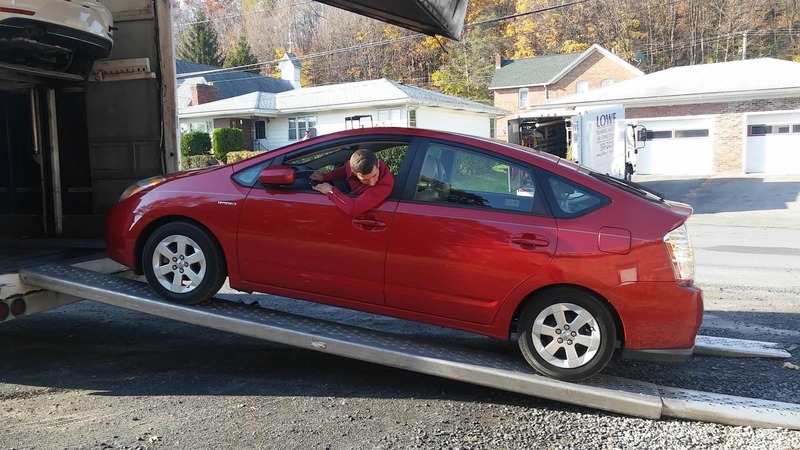 What’s the bottom line on buying a used vehicle from out of town or out of state? Your time is valuable, so don’t wait to find out any of these things until scheduling a test drive. Finding out in advance will save you a lot of time and possibly save you from purchasing a vehicle that doesn’t meet your expectations. Set your expectations high, leave nothing to chance, and assume nothing, while at the same time being reasonable enough to accept that the vehicle has been pre-owned, so it won’t be showroom perfect. Readers (and you know this, or you would not be reading this blog post), a purchase of this size is an important investment. No, it’s not as big as purchasing a house, and there is far less paperwork to sign than when you purchase a home, but many consider it to be the second-largest purchase any of us are likely to make. For that reason, you owe it to yourself to invest all the time you possibly can in making sure you make a sound decision. It is an accomplishment in itself simply to decide what it is you want to purchase, let alone, then to conduct the proper investigations to determine if the vehicle is in reasonable condition and has been thoroughly inspected and attended to by the selling dealer or individual. Again—and I repeat because it is so easy to overlook something given our busy lives—do not leave anything to chance and do not be trusting and hopeful just because you are a trusting and hopeful person. Gather all the information you feel you require (even if you hire a car buyer’s agent, you will need to plan to invest a fair amount of time to research and study, so you can be supportive of your agent’s suggestions and advice). Many buyers’ agents won’t even deal with pre-owned vehicles because there are exponentially more variables and concerns to evaluate in vetting a used vehicle properly. Finally, please bear in mind that dealers may never acknowledge what a major purchase this is (after all, they sell these things every day, all day long), but for you, this is the one and only purchase you will make for years and years. Therefore, don’t allow the dealer’s desire for a faster pace affect your need to slow the process down to the reasonable time period required to collect all the data you will need to make a sound and confident buying decision.